Did you know that there is a revival of Aramaic in Israel. It seems that Maronite Christians in Israel share a common Biblical heritage with Judaism and are ardent Zionists. There is a lot we can learn from them and there is much Israel can do to help these allies. What a pleasure to interview Shadi Khalloul, the Founder of the Israeli Christian Aramaic Association-NGO. This is one interview that I shall never forget. 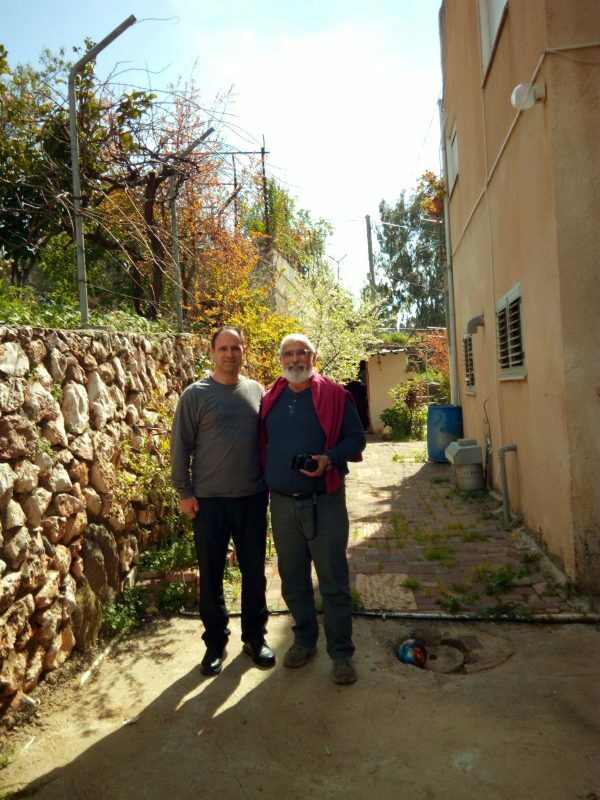 As we sat in his lovely home in Jish (Gush Halav) in the Upper Galilee, Shadi, described his transformation from being an Arab Israeli and his growth to become an Aramaic Israeli – step by step. On the Israeli side of the border we could see the site of Kafr Bir’im ( كفر برعم‎,), which was a Maronite village. Bir’im stands on the site of the ancient Jewish village of Kfar Bar’am. Iqrit (إقرت‎) is too far to see. When the Crusaders occupied Iqrit, they called it Acref. Kafr Bir’im and Ikrit were captured by the Haganah on October 31, 1948 during Operation Hiram. In November 1948 most of the inhabitants were temporarily expelled, for military reasons, until the military operation was complete. The expulsion went without Cabinet knowledge, debate, or approval – and received post facto Cabinet endorsement. The Maronite residents of Bir’im were moved to Jish. The Maronite residents of Ikrit were moved to Rama. Strangely enough, despite the promise that they would be returned in two weeks’ time, none were permitted to return. The Israeli government has yet to keep its promise to allow the Maronites to return to Bir’im. During the 70 years of the Jewish State there has been a Muslimization of the Christian villages in the Galilee. In one after another, for various reasons, the Christian majority in villages has turned into a Muslim majority. There has been an increase of anti-Christian incidents. Many Christians complain that Muslims are trying to either drive them out of cities that have traditionally had large Christian populations, or to “persuade” them to convert. Christian Israel leader argue that Israel is the only country in which Christian communities have been able to thrive in the Middle East. Christian Arabs are among the most educated groups in Israel. They have attained bachelor’s and academic degrees at higher rates than Druze or Muslims in Israel. Hanna David from the University of Tel Aviv wrote that Christian Arabs the New Israeli Jews. In terms of their socio-economic situation, Arab Christians are more similar to the Jewish population than to the Muslim Arab population. Shadi suggested that I read articles on this subject, among others, by Dr. Rivka Shpak Lissak. Many Israeli Christians have given up their Arab identity. In Lebanon, the Israelis gave aid to their Maronite brothers who, in turn, joined the South Lebanese Army (SLA). 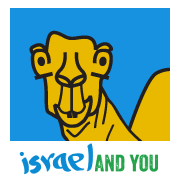 Shadi was born in Jish, but grew up in Haifa. After serving in the IDF as a Captain, he wanted to learn more about his Aramaic heritage. The first step was a B.A. from the University of Nevada Los Vegas (UNLV). During a course in “Bible as Liturature” a Catholic UNLV professor said, “Don’t think that Jesus spoke Spanish or English or French or Latin … he spoke Aramaic, a language that disappeared.” Shadi stood up and explained, “I pray in Aramaic and I can read and write in Aramaic”. The professor asked him to prepare a presentation for the next day. This presentation made the difference. When Shadi returned to Jish, he joined a course in Aramaic for adults, opened by a Maronite priest in Haifa, so as to enable them to not only understand the Liturgy, but also read, write and converse freely in Aramaic. Shadi’s Maronite identity began to expand. During the 1939 Arab Civil War against the British Mandate, Aramaic Maronites brought supplies on donkeys to the Jewish community in Safed. The Khalloul family, in Bir’im hid illegal immigrants, refugees from Nazi Germany, and aided them enter the British Mandate of Palestine. 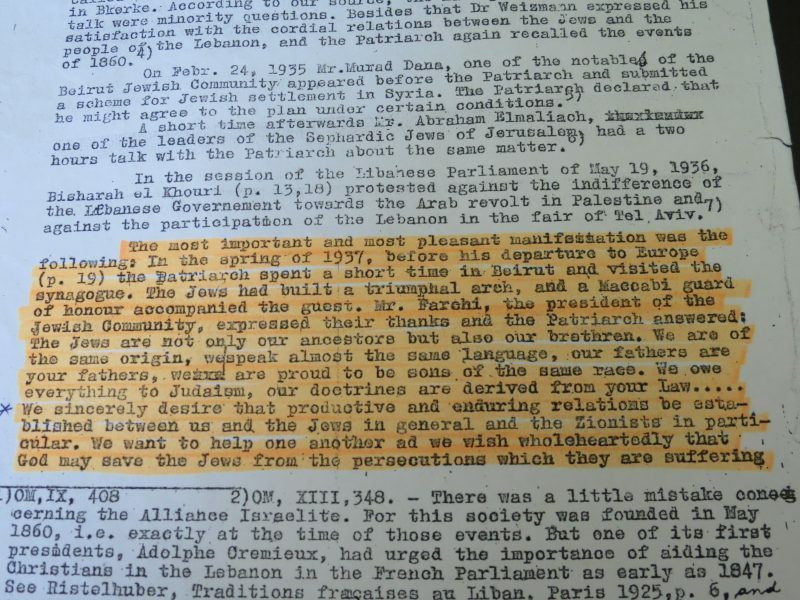 Researching in the Zionist Archives in Jerusalem Shadi discovered that Maronite leaders sided with the Jews during the Holocaust years. Records show how the Maronites served as a third party purchasing land in the Hula Valley and reselling it to the Zionists. Shadi showed me copies of protocols by David Ben Gurion favouring of a Maronite State in the French Mandate of Lebanon, and even suggested that the Jewish Agency should donate funds to aid the Lebanese Maronites. The Maronite leaders also recommended to the United Nations that there should be a Jewish State in Palestine. One must take into consideration that of all the Eastern Christian religions (Syriac Orthodox Church, Syriac Catholic Church, Maronite Church, and the Assyrian Church) only the Maronites recognize the Pope and thus have good relations with the French and Italian governments. Of course the Maronites also wanted a Maronite state in Lebanon. The Maronites wanted to be an ally of the Zionist Movement. A Maronite continuity from southern Lebanon (Qlaiaa – Marjeyoun) to norther Israel which would protect Israel from the north. As a Christian language, Aramaic has all but disappeared from the Middle East. 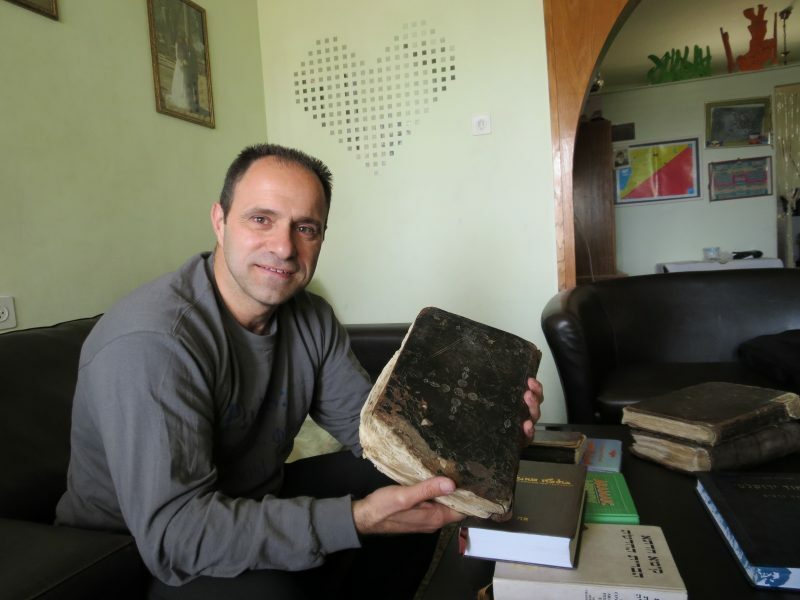 Only two Holy Land villages remnants of small Maronite and Christian Syrian Orthodox communities opted to teach Aramaic to the new generation. Although both the Maronite and Syrian Orthodox churches worship in Aramaic, they are distinctly different sects, each numbering approximately 2000. This is quited an ambitious effort to revive the language that Jesus spoke. Abuna Bishara Suliman, Maronite priest in Jish, set up an Aramaic class for school children. By this time, Shadi was already an active lobbyist in the Aramaic movement and was able to convince the Minister of Education, Gideon Sa’ar, and Dr. Shlomo Alon to budget elementary school Aramaic course in Jish. Most of the self-identified Aramaeans in Israel are from the Maronite community. Aramaic is experiencing a revival among Maronites in Israel in Jish. The Arab-Israeli village of Jish is in the Upper Galilee. Jesus lived in the Galilee and preached there. Jish Elementary school children, who speak Arabic as their first language at home, are now being taught Aramaic two hours a week from First Grade to Eighth Grade. The children belong to the Maronite Christian community who chant their liturgy in Aramaic although few understand the prayers. Even Muslim children are even happy to learn Aramaic. Aramaic youth movement – Aharai! Follow me! Christian identity in Israel, is taught by Shadi Khalloul, former captain in the Israel Defense Forces’ Paratroopers Brigade and director of the Israeli Christian Aramaic Association. Khalloul is the driving force behind this new, first-of-its-kind premilitary program that recruits both Jewish and Aramaic Israelis. All participants must commit to serve in the Israeli army after completing the progra and integratr into Israeli society. Beit Jala, near Bethlehem in the PA, followed suite soon after elementary school Aramaic classes began in Jish. In 1831 Mohammed Ali of Egypt conquered the Beit Jala region and remained in control of it until 1840, when the Turks regained control with help from the British and Austrians. As a result of these social upheavals, large numbers of Palestinians, and particularly from Beit Jala, Bethlehem, Beit Sahour, and Beit Safafa, left the country for South America during the 19th and early 20th century. Some 360 families in the area descend from Aramaic-speaking refugees who in the 1920s fled the Tur Abdin region of what is now Turkey. In the Palestinian Authority (PA) village of Beit Jala in the West Bank – Judaea, an older generation of Aramaic speakers is sharing the language with their grandchildren in a school for Syrian Orthodox Christians. After all, Beit Jala lies next to Bethlehem, where the New Testament says Jesus was born. Ten churches are officially recognized under Israel’s “confessional system”, which provides for the self-regulation of status issues, such as marriage and divorce. These are the Roman (Latin rite), Armenian, Syriac, Chaldean, Melkite (Greek Catholic) and Maronite Catholic churches, Eastern Orthodox Greek Orthodox Church and Syriac Orthodox churches, as well as Anglicanism. 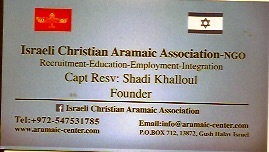 In September 2014,Gideon Sa’ar, who was then Minister of the Interior, allowed Christian families who can speak Aramaic and/or have an Aramaic family tradition are eligible to register as ethnic Arameans ( non-Arab) in Israel. About 200 Christian families were eligible prior to this decision. The Israeli press estimated 10,500 persons were eligible to receive Aramean ethnic status according to the new regulations, including 10,000 Maronites and 500 Catholics. The first person to receive the “Aramean” ethnic status in Israel was 2 year old Yaakov Halul in Jish on October 20, 2014. Another staunch supporter of the recognition of the Aramean identity who cooperates with Shadi Khalloul, is Father Gabriel Naddaf, who is one of the leaders of the Christians in Israel. Members of the Syriac Orthodox Church are officially registered as “Assyrians” ( another non-Arab ethnic minority), the indigenous people of northern Iraq, north east Syria, south east Turkey and the fringes of north west Iran, who migrated from these regions long ago to what is now Israel. The Assyrians in Israel number approximately 1,000 people and most live within the city of Jerusalem. Some members of the Arab community in Israel denounced registration of ethnic Arameans as an attempt to divide Arab Christians. Representatives of the Greek Orthodox Patriarchate officially denounced the move. Read more: גוש חלב – ג׳יש : ערבית או ארמית ? First lets understand what Aramaic means. Aramaic is a Semitic language, like Hebrew or Phoenician originating in the area between Israel and the northern Euphrates valley. This language has 3,100 years of written history and was the dominant language in the Middle East 2,000 years ago. Ancient Aramaic was spoken in Aramaean city-states in ancient Syria (Damascus, Hamath and Arpad), Babylonia, and Assyria to become a major means of communication in diplomacy and trade throughout Mesopotamia, the Levant and Egypt. Around 500 BCE, following the Achaemenid (First Persian Empire) conquest of Mesopotamia under Darius I, Imperial Aramaic was adopted by the conquerors as the single official language. Aramaic contiued to be the lingua franca for the entire empire until the early 3rd century BCE when it was replaced by Greek in Seleucid Syria and Mesopotamia. Aramaic continued to flourish in Judaea, Assyria, Mesopotamia, through the Syrian Desert and into northern Arabia. Aramaic is a family of languages, with up to 150 different dialects. A speaker from Biblical times probably wouldn’t even recognize that this is Aramaic. The earliest Aramaic alphabet was based on the Phoenician alphabet. In time, both Aramaic and Hebrew adopted the distinctive, “square” style Assyrian alphabet. The modern Hebrew alphabet derives from the “square” style Assyrian alphabet as the Aramaic alphabet. Jewish Aramaic uses the same alphabet as Hebrew – derived from the Aramaic alphabet. ʾEsṭrangēlā – Looks like a mixture of Hebrew and Arabic. Often used in scholarly publications, in titles, and in inscriptions. Maḏnḥāyā – The East Syriac dialect is usually written in the Maḏnḥāyā (‘Eastern’) form of the alphabet. Serṭā – The West Syriac dialect is usually written in the Serṭā (line). Most of the letters are clearly derived from ʾEsṭrangēlā, but are simplified, flowing lines. It is more economical use of parchment. Aramaic is the living language (actually two dialects) of the two Jewish Talmuds, Targum Onqelos, and Targum Jonathan. The Talmud is still studied in Aramaic up to this very day by Orthodox Jews around the world. I participate in a Jerusalem Talmud lesson (with Aramaic texts) every morning at 06:00. The Babylonian Talmud was created in the diaspora. In Babylonia, the regional Aramaic was used by the Jewish community from c. 70 AD. This everyday language increasingly came under the influence of Biblical Aramaic and Babylonian Targumic. The Jerusalem Talmud was created in the Holy Land. Hasmonaean Aramaic appears in quotations in the Mishnah and Tosefta. Aramaic came to completely displace Hebrew around the turn of the fourth century CE. The Samaritans have preserved Samaritan Aramaic in liturgical and literary usage. Samaritan Aramaic is language used in sacred and scholarly literature. It should not be confused with the Samaritan Hebrew. Samaritan Aramaic ceased to be a spoken language some time between the 10th and the 12th centuries. The Samaritans maintained a calligraphic tradition different from the Square style Ashuri script, using instead the Paleo-Hebrew alphabet they employ for their scriptures. The Aramaic languages of the Levant and Lebanon are near-extinct in non-liturgical usage. It was spoken in the Syrian villages of Maaloula, al-Sarkha (Bakhah), and Jubb’adin. At one time Syriac was been recognised as an official minority language in Iraq. Syriac Orthodox Church – The church is led by the Syriac Orthodox Patriarch of Antioch, seated in Cathedral of Saint George, Bab Tuma, Damascus, Syria. Syriac Catholic Church – Has many practices and rites in common with the Syriac Orthodox Church. The Church is headed by the Patriarch of Antioch and all the East of the Syrians who resides in Beirut, Lebanon. Maronite Church – The church was established in the 4th Century C.E. by Saint Maroun as an inspirational leader and patron saint followed by the establishment of the Monastery of Saint Maroun on the Orontes. The Orontes river flows through Lebanon, Syria and Turkey. The Maronite Church is in full communion with the Pope and the Catholic Church. 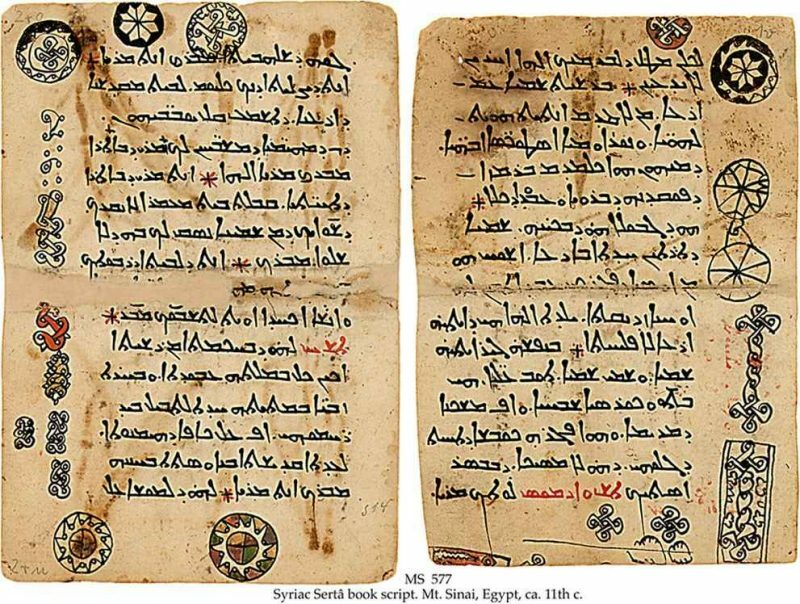 Early Syriac texts such as the Syriac Bible and the Diatesseron Gospel harmony date to the 2nd century. The bulk of Syriac literary production dates to between the 4th and 8th centuries. Syriac literacy survives into the 9th century, but Syriac Christian authors in this period increasingly write in Arabic. Christian communities developed a cursive writing system used for Aramaic known as the Syriac alphabet. Syriac is also taught in some public schools in Iraq, Israel, Sweden, Augsburg (Germany), and Kerala (India). In Sweden there are enough people to support a newspaper, radio station and a television station. The renaissance of Aramaic in the Christian communities of Israel and the PA was aided by Swedish Aramaic-speaking communities who are descended from immigrants from the Middle East. Swedish officials found between 30,000 to 80,000 Aramaic speakers in Sweden descended from Middle Easterners. Suryoyo SAT is a Syrian (Aramean) satellite channel in Sweden that links all Syrians throughout the world, while showing that the Syrian (Aramean) people and the Aramaic language are part of the world’s history and future. Mel Gibson managed to film parts of his 2004 movie “The Passion of the Christ” in Aramaic. The film covers the final twelve hours of Jesus’ life, beginning with the Agony in the Garden of Gethsemane, the insomnia and grievance of the Blessed Virgin Mary, the brutal scourge and crucifixion, ending with a brief depiction of his resurrection. The dialogue is entirely in reconstructed Aramaic, vernacular Hebrew, and Latin.